Post-separation, holidays can be difficult. If you haven’t had final parenting orders made yet, or are at the beginning of the separation process, you might be feeling uncertain about how to ensure time with your children during holiday periods. Do I need Orders made? The short answer is no. Parenting orders are not a legal requirement. But we strongly advise, and the court recommends, that even in civil separations parties make parenting orders. Parenting orders give everyone involved in the situation clarity about who a child lives with, and when they get to spend time with their child. If both parties are in agreement, then consent orders can be made. These are then lodged with the Court and, in turn, finalised. Even if parties are civil at the time of separation, it is a good idea to have consent orders in place, so that if something changes in the future the child’s living arrangements are not affected. It is the Court’s view that the parents should know what is best for the child, but will make orders as it sees fit, where necessary. 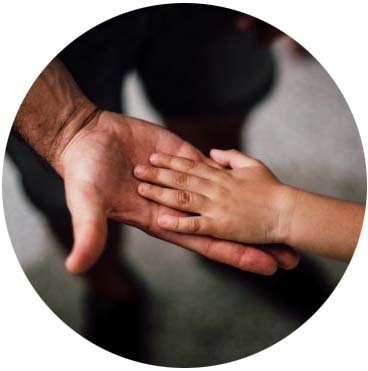 If the parties can come to an agreement on parenting orders outside of Court, this is best result for everyone involved, but it is still important to have the orders finalised by the Court for clarity, and certainty of the child’s living arrangements. Who can seek Parenting Orders? You might not be the biological parent of the child, but want to make sure that their living arrangements are secure. The Court allows for this. Parenting orders can be sought by anyone who is concerned about the care, welfare and development of the child. This might be grandparents, aunts and uncles, new partners of either parent, or even the child themselves. The Court only has jurisdiction over a child who is present in Australia and is either an Australian citizen, or ordinarily residing in Australia. They cannot make orders when a child is outside of Australia. What happens if we can’t agree on Parenting Orders? If parties cannot agree on parenting orders, they will need to apply to the Court with an Initiating Application for final orders. Alongside final orders, interim orders may also be sought. Because family matters can often take around 18 months to finalise, it is necessary to have interim orders put in place. The matter is usually first heard in around 6 weeks from date of filing the Application. This is when the interim orders are addressed. Interim orders detail the living arrangements for children up until final orders are made. They would state when the child spends time with each parent, including pick-ups and drop offs, and other requirements that the parents want included. This might be relating to health and medical treatment, education and schooling, attending sports, seeing other family members and religious commitments. When planning your interim orders it is a good idea to address school holidays, and special days. Special days are days such as Christmas, religious holidays, Mother’s/Father’s Day and birthdays. By making arrangements for these days in your interim orders, it helps to remove the stress of reaching agreements on each occasion. The children shall spend time with Parent A from 5:30pm on 24 December until 2:30pm on 25 December, and with Parent B from 2:30pm on 25 December until 5:30pm on 26 December, alternating every year. Unless the parents agree otherwise, the children shall spend time with each parent as follows; on each parent’s birthday, with that parent from 5:00pm to 8:00pm if they would otherwise be living with or spending time with the other parent. These types of orders allow the parents and the children to know clearly what is going to happen on particular days. If your orders aren’t specific, it can lead to confusion and frustration around holidays, with each party having a different idea of what the orders mean. If you haven’t begun court proceedings, or don’t have interim orders that detail what is happening for the Christmas period, it is important to note that there is a deadline for applications to guarantee that interim orders get made before Christmas. The application must be filed by 4:00pm on the second Friday of November in the application year. In 2019, that will be November 8. This deadline is necessary so that the Court can guarantee that the matter will be heard before the holiday period. Unless the matter is urgent, applications filed after that date are heard in their assigned order, which may be after Christmas. The fact that the application applies to the holiday period does not justify a listing before Christmas if the application is made after the deadline. By the time your matter is finalised in Court you would have likely had 18 months of interim orders in place. You might have found that the arrangements you made for holidays and special days were suitable and don’t need to differ, or there might have been gaps or changes you want addressed. These need to be in the final orders, as after orders are made they cannot be easily changed. Any changes to Orders after the fact must be made by the agreement of both parties, and this is often difficult to achieve in family court matters. If you’re thinking about commencing family court action, or you’re worried about seeing your children on a special day, please contact Julia Adlem, Stefania Scarcella, or one of our other experienced Adelaide Legal family law practitioners on 08 8410 9494. Attorney General’s Department (2016). Parenting orders – what you need to know. ACT, p.31.